The Honda City is a small car, which was first manufactured for the Japanese, Australasian, and European markets. However, later, the three-door hatchback was discontinued in 1994. In 1996, the four-door sedans of Honda City were introduced by keeping the developing markets in mind. Now for the model year 2018, Honda is going to upgrade the model further with some modern features. However, the good news is that the company is going to release the base model of 2018 Honda City without any increase in its price. 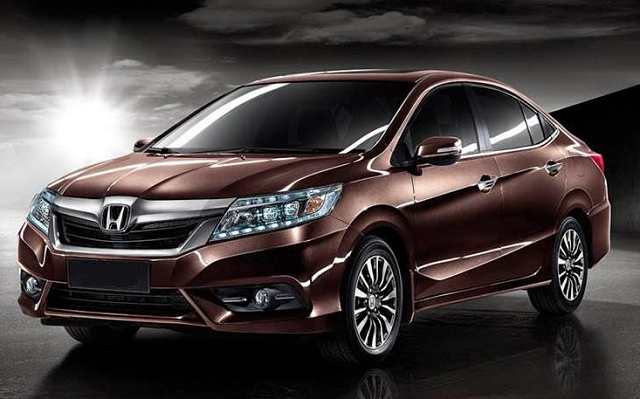 The redesigned Honda City will be released in four trims, such as E M/T, E-CVT, VX CVT, and VX+ CVT, with all modern features. When considering external changes, the front fascia of the new model Honda City may get some notable changes. All models will come with the new fog lights and daytime running lights with LED bulbs. While other three models come with LED fog lights and headlights as an optional feature, the VX+ CVT variant will get them as standard. All the variants will come outfitted with a redesigned front bumper, as well. The rear part of the 2018 Honda City may also get some subtle changes. The lower part of the rear bumper comes with a honeycomb trim section. Similarly, the reflectors at the back will get some slight changes. This time, the 2018 model Honda City will be offered with multi-spoke diamond-cut wheels of diameter 16 inches. Similarly, the old body colors, such as Crystal Black Pearlescent and Brilliant Sports Blue Metallic will be discontinued. Instead, Cosmic Blue Metallic will be introduced as a new body color option. 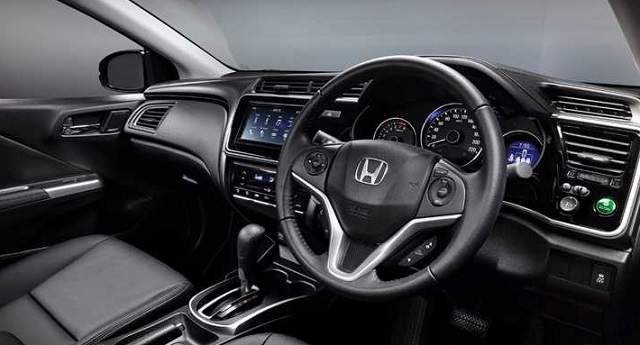 Although the 2018 City comes with the same interior design of its predecessor, Honda has made some changes by keeping the modern buyers in mind. Accordingly, the cabin of the vehicle comes with attractively designed seats, new gauges, as well as with gunmetal trim. Both VX and VX+ trims will get a multi-view reverse camera, a navigation system, smart entry system, voice command function, and Miracast and Cube User Interface as optional features and cruise control as a standard feature. However, the VX+ will be offered with other safety features, such as curtain and double side airbags, Hill Start Assist, Vehicle Stability Assist, as well as Emergency Stop Signal. All models of the 2018 Honda City will come equipped with an i-VTEC engine of capacity 1.5-litres. This motor offers the models, the required power and torque of 120 PS and 145 Nm respectively. The engine of the base model will be mated to a five-speed manual transmission. The engine of E and CVT variants will be mated to a CVT or continuously variable transmission, whereas the engine of VX and VX+ will be mated to seven-speed mode. All models of the new Honda City 2018 will be offered with Econ Mode and Eco coaching mode as standard. The base price of the 2018 Honda City may vary between $15,990 and $21,590, according to the model and the type of transmission system. The model is expected to hit the Honda dealerships during April 2018. Please confirm the arrival date in Australia is April 2018.